Recently I post about music. Now I think it's the time for me to share my best Indonesian Music Video. As always, I share it hoping that you will discover something that may be new. If you already agree, well we're a friend. We can give five stars to the mapping and the content of the mapped video. However, there's more thing to be appreciated that we can have experience of dark dub and jungle music in line with Jogja. 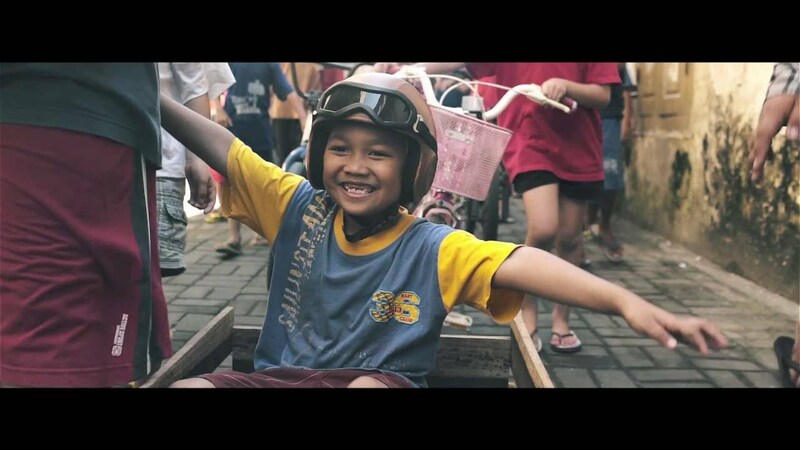 To let the Becak and Jaranan dancer into the video is a means to tell the story about what we call as Roots. I love this video because it's simply cute. We can enjoy the condition of longing, long distance relationship, and loneliness calmly. What makes it interesting is that the panorama totally out of my imagination about my visual experience of the city building or highway in Jakarta. The video has fulfilled all of the requirement to make a good video. It's all about the desire of Ras and Erick. The synthesis from all of the visual form and the song already fit one whole work. One thing that I think the most important in this artwork is the actor's expression. All of the expressions then supported by the camera placement and the setting. We agree about The House. However, this one is more, at least for me, satisfying. I start to think from symbolism and go further to recent visual art discourse and postmodern music, so I will say "Okay" to why they make such a thing. There are too many things to be discussed. But I think, we can enjoy anything without a must to make it a sense. I will say the same as Kimokal - Under Your Spell. I will say the same as Indische Party - Ingin Dekatmu, but it has a different story. The similarity is it's calming and cute. I think it's the best video for football team anthem I know so far. It gives a feel of romantic. Every part of the team was involved and how to capture the moment is suitable, that's why it's best. One thing that makes this video succeeded is it has a lot and representative stock. We can appreciate the editor by simply put the slow motion to some footages. Same as before, it gives a feel of romantic, and humanist. I love how they make the 'big' story simple. We can see all of the sign (even we need to have some kind of social experience) placed in the visual and that's what makes the work succeeded. Addition, it also gives more feel of Jogja; the other side of Jogja.